"Slow-grilling over indirect heat keeps this chicken moist and tender. Giving the drumsticks a long rub with seasonings makes them taste great. 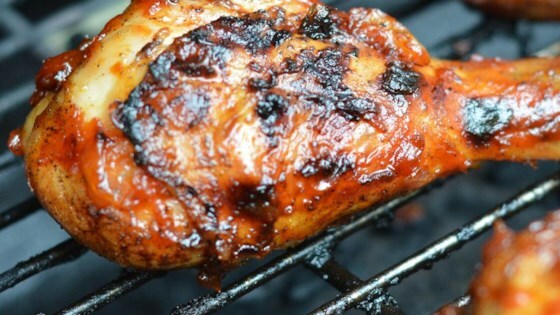 Always baste at the end of grilling to prevent the legs from burning." This was very good and simple to make. I doubled the sauce recipe because we like to have some on the side...especially for reheating.